At this time of the year a lot of couples start to panic about starting to make the arrangements for their wedding, as they want everything done before the Christmas and the New Year period. 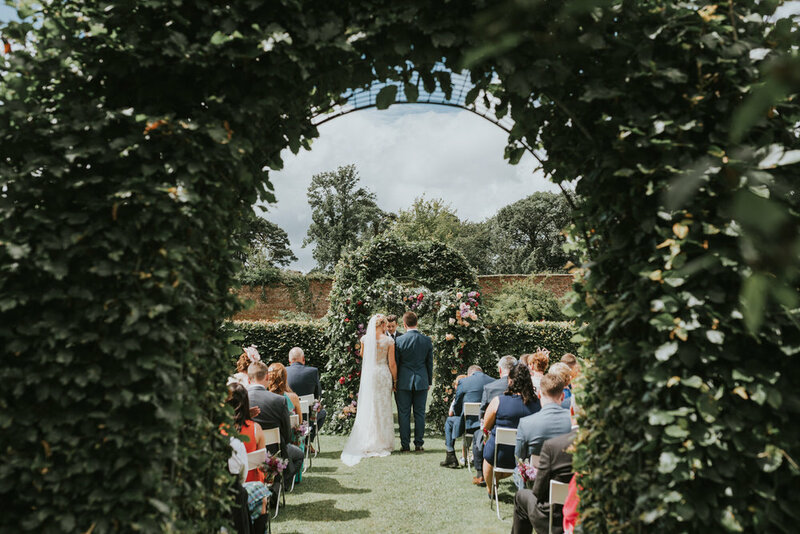 Finding and booking a venue should always be the first step in planning your wedding so we have put together a useful list of the most important questions to ask venues that you are considering for your big day. 1. Are you available for our preferred date and can you accommodate all of our guests? Surprisingly often couples forget to ask these questions first and could potentially waste time looking at what a venue offers when they may not have availability or the necessary capacity. 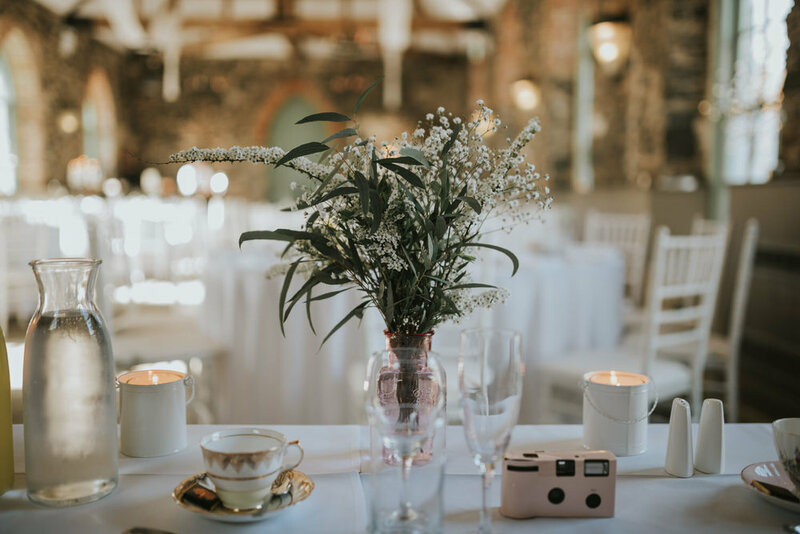 Venue’s can often be booked 1-2 years in advance and different venues cater for different sizes of weddings, these should always be the first questions you should ask. 2. Is there an option to provisionally hold a date? Some venues will allow the option of holding a date for a short period of time free of charge while you consider your options, others will ask for a refundable or non- refundable deposit. 3. Are you licenced for civil ceremonies? A lot of wedding venues can offer the option of hosting both your ceremony and your wedding reception. There can be advantages to spending all of your wedding day at the venue as it does away with a lot of the timeline stress both for you and your guests. Sometimes being able to do everything in the same place can make for a much more relaxed wedding day. 4. Will there be any other weddings taking place on the same day as ours? This may not be an issue for you but it’s worth knowing all the same as potentially there could be knock affects you may not have thought of if the venue caters for more than one wedding a day. For example, if there is another wedding taking place on the same day as yours could this cause issues in terms of areas to use for your wedding photographs? Could this cause issues with parking? Would this restrict access for you and your guests to certain parts of the venue? 5. What areas around the venue are we allowed to use? This is an important question to ask. If you are having an outdoor ceremony you need to know what the plan is for bad weather and if there is another covered area you can use instead. As another example in Northern Ireland golf resort weddings are popular. Couples often book a wedding at a golf resort as they love the grounds but don’t always realise that the grounds can’t be used while people are playing for health and safety reasons. There may be areas at the venue you have seen and would love to use for your wedding photographs but that the venue may not allow you to use. Some venues will have a recommended list of suppliers that they recommend. Venues will sometimes only allow certain suppliers and this is especially true with caterers. You should never where possible stick to this list. Many wedding vendors appear on recommended suppliers lists because they pay the venue to be on there and that doesn’t necessarily mean that they are the best choice for you. With wedding photographer’s venues will often recommend those that are willing to pay them a percentage of their earnings for weddings at that particular venue. A lot of venues also only recommend photographers that pay to attend their wedding fair or that have provided them with free marketing material, free sample albums to show couples or free images for their website and other online marketing. They might not be the best fit for what you are looking for. Often wedding blogs and magazines recommend choosing a wedding photographer that has worked at a venue before but this is not always a good idea. When a photographer works at a venue a lot it can be easy to fall into the trap of shooting the same images over and over again but just with different couples. I know that we always look forward to shooting at venues we haven’t worked at before, as it allows us to be more creative and have no preconceived ideas beforehand which for us always makes for better photographs. 7. Can we get ready at the venue? Getting ready at the venue can help make for a much more relaxing start to the day if you are also having your ceremony at the venue. With hotel weddings lots of couple’s prefer to stay at the hotel the night before. This means no travelling on the wedding day itself which always helps in terms of your wedding timeline. 8. Are there any wedding decoration restrictions? Every venue will have different rules around room decorations especially when it comes to things that could potentially cause a risk, like candles for example. It’s worth asking about things like confetti as well which some venues won’t allow. 9. Can we have a detailed list of what is provided and what isn’t? Some venues will not include things that you may have taken for granted would be included. It’s vital you find what needs to be provided by you or your other wedding vendors and what is being included by the venue. 10. Are you flexible in regards to the wedding timeline? 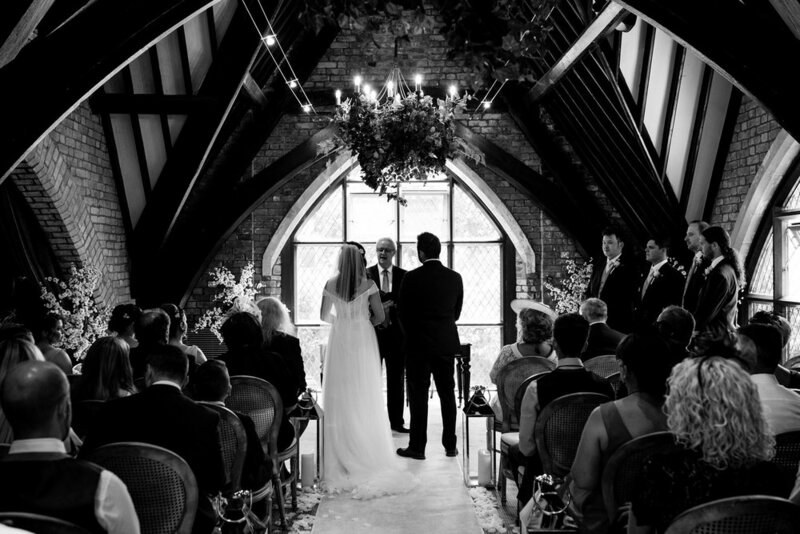 Venues will often make recommendations for the timeline of your wedding day but this might not always fit in with your own plans for the day though. Venues will always make recommendations based on what works best for them. Some venues allow very little time for photographs which can have an impact. It is also better for you to exaggerate the amount of time you will need for the various parts of the day to ensure that if something goes wrong in terms of the timeline that you have spare time to allow for this. 11. Ask questions about the wedding meal! Ask your venue if a tasting menu is available and do you need to pay for this? Ask the venue if they can provide you with a copy of the menu options and if you have any vegetarian guests ask them if they can accommodate this. If you have a lot of children attending your wedding it may also be useful to ask them if they can offer a kid’s menu as well. 12. In terms of wedding entertainment can you accommodate the band, D.J etc.? It may be advisable to also ask practical questions around what time the entertainment needs to be there to set up? What resources are available to them in terms of electricity outlets etc. Is there a sound limit they need to be aware of? This, will all help later on when you choose your evening entertainment. 13. Can we have a dedicated wedding co-ordinator? Most venues will provide you with a dedicated point of contact to deal with all of your queries on the lead up to your wedding but a different employee may be assigned to you on the day of the wedding. 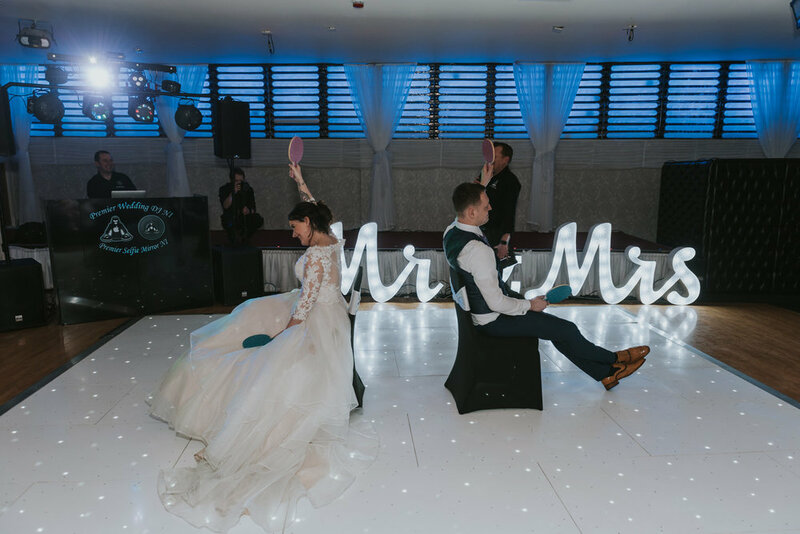 Some couples prefer to have one person for both and this is something you should discuss with the venue, it can be much easier for the couple to have one dedicated person at the venue to help with everything. 14. What are the hidden costs? Most venues will provide couples with an information pack detailing the package options that they offer. Generally, though these will just be a general breakdown of costs and not everything will usually be covered. To ensure you do not get any unexpected surprises ask questions about fees for corkage, is there a cake cutting fee, is there an additional charge for using an indoor ceremony room if the ceremony can not take place outside due to poor weather etc. 15. What are the payment options and cancellation policy? Every wedding venue will offer different payment options in terms of deposit costs, the date your final balance needs to be paid for and some can offer discounted pricing for mid-week or off-season weddings. Different venues will also have different cancellation policies. We hope you find this list useful, there will be lots of other more detailed questions you will want to ask potential wedding venues once you start to narrow your search down but these are the most important ones and will help you find the wedding venue that best suits what your needs are.